At the family's request memorial contributions are to be made to those listed below. Please forward payment directly to the memorial of your choice. Below is the contact information for a florist recommended by the funeral home. 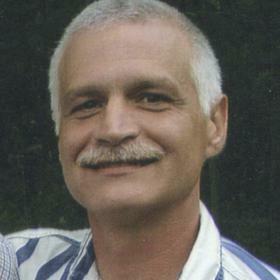 Timothy L. Lafler, of Fulton passed away on Tuesday, March 19, 2019 at the age of 54. Tim was the son of Willard and Maysie Lafler and was born on October 23, 1964 in Kalamazoo. He went through Vicksburg Community Schools. Tim is described as a fun, caring and a bit strong-willed. He loved to tinker with cars and get his hands greasy. He is survived by his two sons: Jacob Lafler, of Flint; Nick Lafler, of Mendon; his parents: Willard and Maysie Lafler, of Fulton; one brother: Willard Lafler; numerous nieces, nephews, and cousins; and his special dog, Chopper. He is preceded in death by his brother: Edward Lee Lafler and sister-in-law: Tori Lafler. A memorial gathering for Tim will be held on Saturday, April 13th from 12noon until 3pm, at the Fulton Christian Church, 14108 East W Ave, Fulton. Please visit Tim’s webpage at www.mccowensecord.com where you can read his obituary, sign the guestbook, share a memory and find updated service related information. Those who wish may make contributions to Generous Hands. The family is being assisted by the McCowen & Secord Family Funeral Home, Rupert-Durham Chapel, 409 S. Main, Vicksburg (269-649-1697).